You’re trying to watch a movie at home on your iPhone, but you wish you had a bigger screen that you could play the content on. Whether you’re watching YouTube, local media, or streaming Netflix or Hulu from your phone, the screen can just be so small for watching entertainment. Luckily, there’s a way that you can easily put that content on the big screen — i.e. your home TV or laptop — and that’s through HDMI cables. 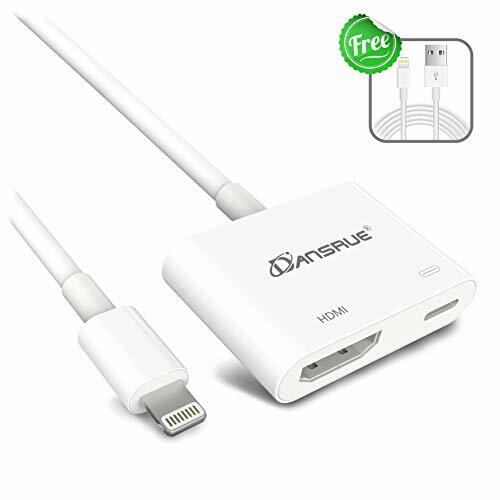 Yes, the iPhone has HDMI support right out of the box, allowing you to plug a lightning cable in the iPhone end, and then an HDMI cable in your input (i.e. the TV). So what iPhone to HDMI cables should you pick up to make this happen? Follow along below, and we’ll show you some of our top picks. Let’s dive right in. The first adapter that we’re looking at, and in number five place, we have the Cheaxics Lighting to HDMI Adapter. 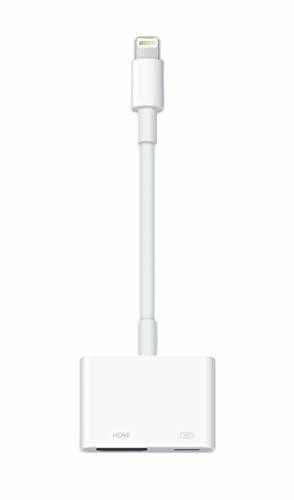 Cheaxics, of course, follows Apple’s own guidelines for creating an adapter like this, so you won’t be seeing that dreaded “Accessory not supported” message. Simply plug this adapter into your iPad, and then a corresponding TV or monitor with an HDMI cable. Once connected, you’re ready to start broadcasting your screen — just turn on the TV or monitor, and make sure it’s on the correct channel/input. Now, this one does need an external power supply, which is why it comes with a USB cable. An iPhone just isn’t able to export enough power to support its power needs, so you will have to have this USB cable plugged into a USB port somewhere as well. 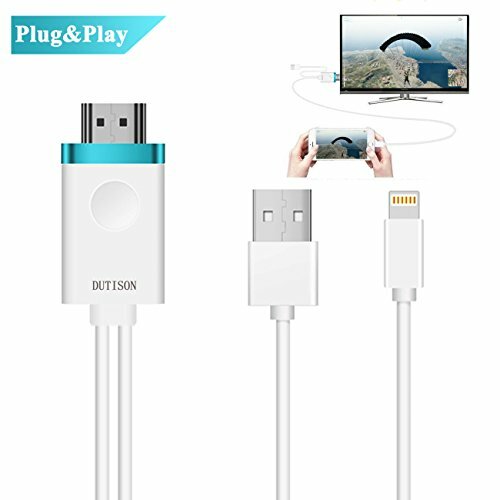 In fourth position on our countdown of best iPhone to HDMI cables, we have the Dutison Lightning to HDMI Cable. This is a six foot cable that plugs into your iPhone — on the lightning side — and then directly into the TV or monitor. You can play all of your favorite media no problem, even from services like YouTube. However, the Dutison does not support the playback of copyrighted material, so you won’t be playing content from Netflix, Hulu, Prime Video or other services like that, unfortunately. The Lightning to HDMI AV Converter is another great solution, even in coming in at third place. It has a relatively short cable — one that plugs into the iPhone, and then transforms to a converter box — with that plugged in, you then plug the HDMI cable in the converter box, and then into your display input. This is a plug and play solution, so no extra drivers are needed. It mirrors what’s on your iPhone onto the big screen. 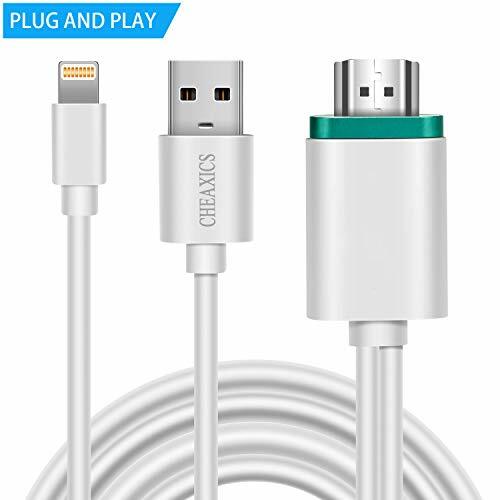 1080p videos and images are supported, but similar to the Cheaxics Lightning to HDMI solution, you won’t be be able to play quality above 1080p. Coming in number two position, we have the HDMI AV Box by Valoin. This is another plug and play solution — insert the lightning end into your iPhone. Then, plug an HDMI to HDMI cable in the converter box, and then the other end into your input display, such as a monitor, TV, or projector. This one doesn’t come with an HDMI cable, so you will need an HDMI cable to go with this one. You can use your choice of HDMI cable, and as long as you want as well. In number one position, we have Apple’s very own solution — the Apple Lightning to HDMI AV Converter Box. If you’re looking for a reliable adapter, this is it. Like the others, it’s a plug and play solution; however, it does not come with an HDMI cable — that is purchase separately. This one is actually going to be one of the most reliable iPad to HDMI cable options you have, and will likely last you the longest amount of time. Many third-party solutions don’t follow Apple’s guidelines for adapters like these, so by picking this one up straight from Apple, you’ll never see an “Accessory Not Supported” error. 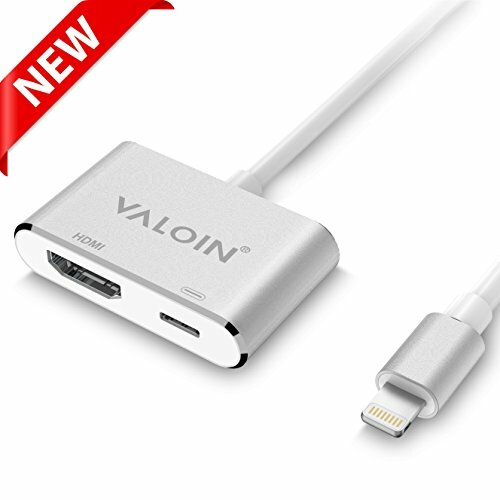 The Lightning to Digital AV Adapter mirrors exactly what you see on all types of iPhone’s (at least down to the iPhone 5), giving you more real estate by letting you see your iPhone on the big screen. As you can see, you have a lot of choices as far as iPhone to HDMI cables go. There isn’t really one that is better than the other here — any one of these will work and accomplish the goals that you’re seeking. Do you have a favorite pair of iPhone to HDMI cables? Let us know what your favorite brand is in the comments below!